This book poses three fundamental questions that will bring a new clarity to your leadership and will put you firmly in the driving seat of your most important decisions. Robin Ryde makes it all seem so damn simple! Ryde is never less than interesting and informative. The E-mail message field is required. Somewhere along the way between the innocence of the early twentieth century and the mayhem of the twenty first century things became very complicated. 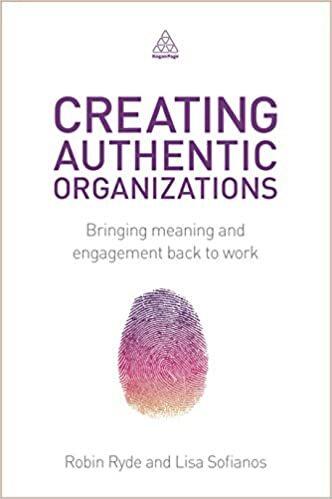 His publications include Creating Authentic Organizations Kogan Page 2014 , Never Mind the Bosses: Hastening the Death of Deference for Business Success Wiley 2012 , and Custom-Built Leadership 2008 and Thought Leadership: Moving Hearts and Minds 2007 , both with Palgrave Macmillan. Modern leadership is about shaping the social process of engagement, strategizing and decision-making so that workers can create immeasurable value. Your Third Decision - How Broadly will I Lead? As a result of this technique we quite literally see the world and all that is in it differently. 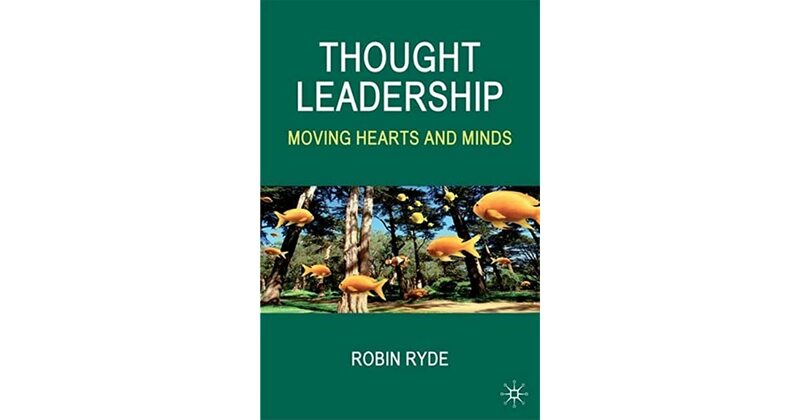 Ryde is also the author of the groundbreaking book 'Thought Leadership: Moving Hearts and Minds'. Custom-Built Leadership: Three Critical Decisions Only You Can Take. Each and every leader needs to understand their own response to the challenges they face. Cite this chapter as: Ryde R. Company limited by guarantee registered in England and Wales no. This book is about what executives can do to transform the thinking of those around them. 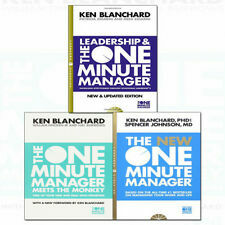 This book is your leadership base camp; Read, rest, reflect and gear up for the most important journey of your career. Buckle up for a fascinating journey through the real world of leadership. Robin Ryde will join the next programme cohort — its 43rd - in autumn 2018. We are excited to be working with him. Ryde has a background in leadership and organizational development spanning numerous sectors and internationally. This has ignited an interest in the way that leaders think and approach problems and the common dilemmas they face. This book is about what executives can do to transform the thinking of those around them. The next cohort the 44th is , and will run for three weeks between May-September 2019. It then offers practical advice and case study examples so that these goals can be reached. This book will help many current and would-be leaders to find their way in rising to the challenge of leadership in ever more demanding times. Thought Leadership: Moving Hearts and Minds. Robin is founder and co-owner of the independent publisher Situation Press. Ryde enjoys mixing his love for Sociology with harder commercial skills and has a lesser known talent as a chartered accountant. For years he immersed himself in a variety of complex transformational projects ranging from international programs to tackle poverty to large 'big ticket' infrastructure deals. The new economies shifted the global power balance. Never Mind the Bosses: Hastening the Death of Deference for Business Success. . As a leadership 'base camp' it is both useful and wholly enlightening. Robin has focused his work in two areas; in supporting boards and leadership teams usually in the process of devising strategy and leading change, and in directing large leadership development endeavours. He is vice chair of the governing board of Richmond Park Academy. Somehow, what appeared to be matters of great concern such as the argument between the couple are seen from a different perspective, often rendering them rather inconsequential. It will give you exemplary decision-making, quicker organizational change and focussed leadership. Ryde has a background in leadership and organizational development. As a leadership 'base camp' it is both useful and wholly enlightening. It will give you exemplary decision-making, quicker organizational change and focussed leadership. His non-management publications include The Truth of Revolution, Brother Situation Press 2014 and his first novel, Southern Cross Situation Press 2017. He is also head of leadership with the Oxford Group. Your Second Decision- How Grand is My Plan? The apparent separation of peoples and countries disappeared and climate change, terrorism and the technology explosion told a different story. Leaders more than ever have got to know what they are doing. Mr Ryde is a Visiting Fellow of Ashridge Management Centre and is the Head of Leadership with the Oxford Group. With energy, wit and clarity, Robin has found a way to cut through the rubbish and see straight to the heart of the leadership challenge. 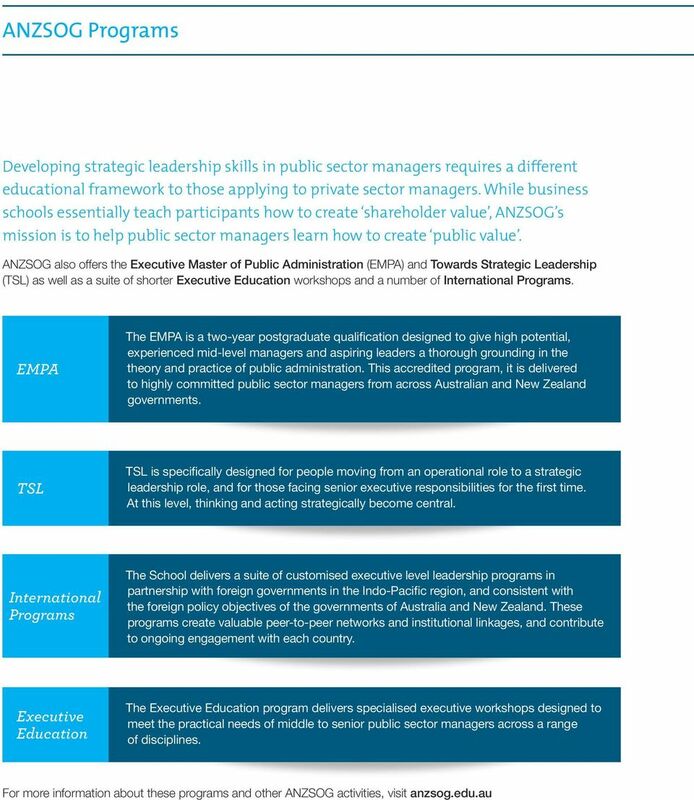 His management publications include Creating Authentic Organizations co-author Lisa Sofianos, Kogan Page 2014 , Never Mind the Bosses Wiley 2012 , Custom-Built Leadership 2008 and Thought Leadership 2007 , both with Palgrave Macmillan. With energy, wit and clarity, Robin has found a way to cut through the rubbish and see straight to the heart of the leadership challenge. Robin Ryde makes it all seem so damn simple! His interest in leadership thinking has, in part, been sparked by literally hundreds of private and public sector Chief Executives with whom he has engaged.